Close-up unrecognizable constructor cutting metal with angle grinder. 4k00:09Angle grinder cutting through metal and producing a lot of sparks. hd00:08The music box mechanism rotates close-up. Detailed view of the insides of an old music box as it plays. Music box gears turning. 4k00:11Train passing by at high speed close up in fall season with shot aiming partially down tracks; under diffused lighting. 4k00:29Workers and foreman using virtual reality headsets in carpentry workshop. 4k00:11Worker man on protective headphones and eyeglasses standing with arms crossed in joinery shop. 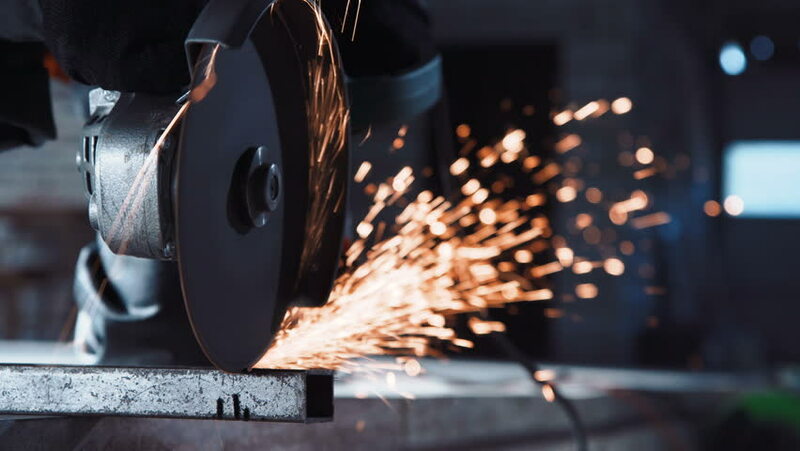 4k00:10Close-up unrecognizable constructor cutting metal with angle grinder.